REDUCED! 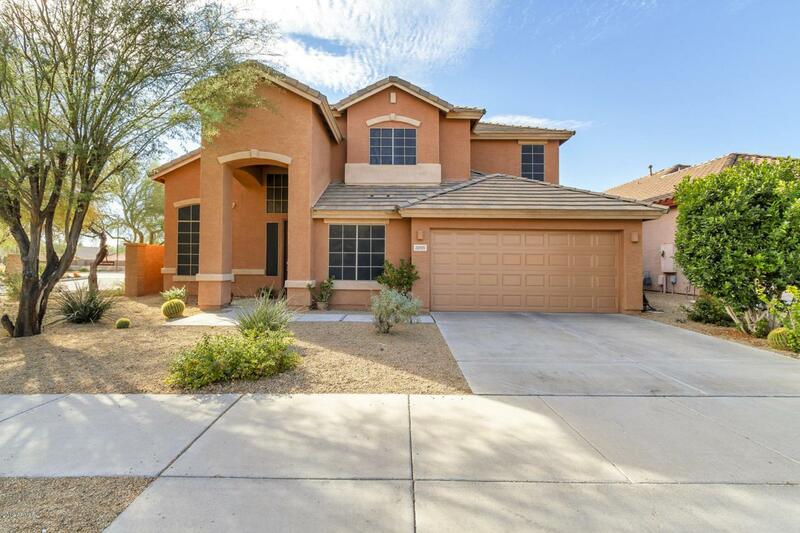 You will love this home in the great community of Sonoran Foothills. Community features a large swimming pool, splash pads, tennis/basketball courts and not to mention the great Deer Valley School District! This north/south facing home has 5 bedrooms, 3 bathrooms with a great open floor plan including Master Bedroom and bathroom downstairs. Kitchen boasts granite countertops and an island open to the family room and eat in kitchen. Upstairs is a large open loft along with three bedrooms and the third bathroom. Walk outside to your large covered patio that has beautiful mountain views! Great corner lot and close to shopping. This well cared for home is still occupied by the original owner. Listing courtesy of Trilese And Associates.